Honey has been loved around the world for centuries, not only for its wonderful taste, but for its beneficial properties as well. The use of honey dates back centuries and has been used for many purposes, all over the world by various people. While it’s common to see people adding it to their tea, using it for a quick energy boost during a race, or just putting it on bread, many people still keep it in their cupboards as another tool in their first aid kit, which is very smart. This is the reason Manuka honey has gotten so much worldwide attention as of late – it’s not just any honey, it’s super honey. Not all Manuka honey is created the same. And unfortunately, labeling alone can’t be trusted. 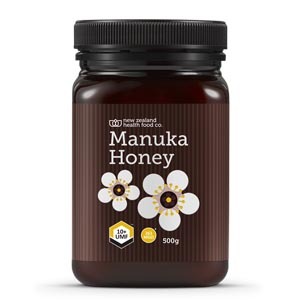 New Zealand Health Food UMF® Manuka Honey 10+ is the one of best honeys on the market today. But you don’t have to just take our word for it. NZ Health Food Company is currently a member of the UMF® Honey Association. The purpose of this Association is to regulate how Manuka honey is derived and processed. 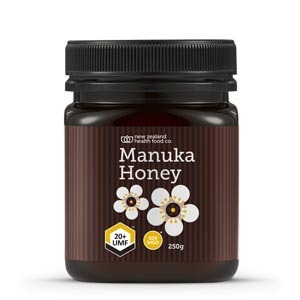 When you see our label with their stamp of approval you know you’re getting several things you won’t find with any other Manuka honey: unmatched quality, testing to measure the honey’s quality, assurance your honey was derived and comes from New Zealand, and high production standards ensuring safety in each bottle. Omega – 3 and Hair Skin & Nails – has made huge difference to strength and condition of my nails.